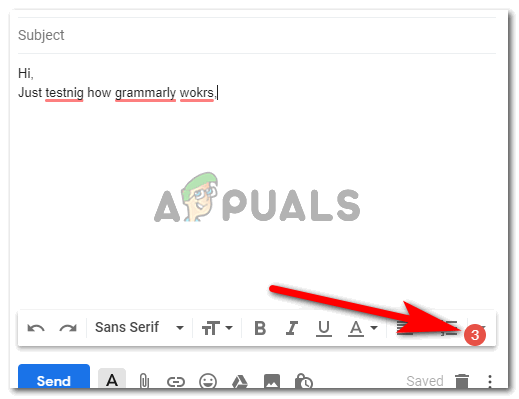 Talking about Spell checks on Google Chrome, and Grammar errors when writing on the internet, I must mention a very helpful tool that can be used by anyone on the internet once they have signed up for it. Grammarly, it not only corrects your spellings but also corrects your punctuation and grammar quite efficiently. It underlines your mistakes and also gives a number of mistakes present in your current writing. Bringing the cursor to the underlined word shows you a dropdown list of corrections that could be made by clicking on them. 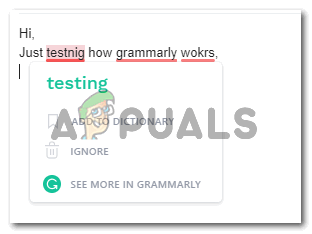 For instance, if you have a spelling error, Grammarly will show you the correct spellings for the word in the dropdown list. 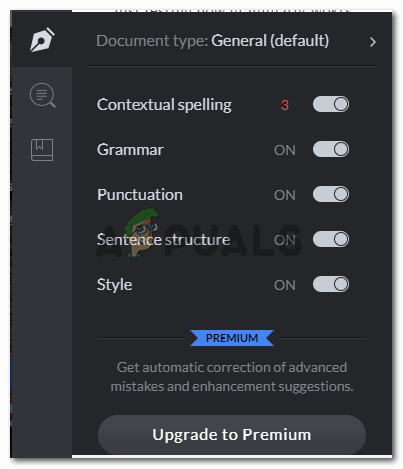 If you have missed out pressing the space key from the keyboard between two words, this is also highlighted by the Grammarly program installed. Working on the internet includes writing emails on Gmail or any other emailing forum you use, or writing comments or status or even writing articles, if you have the Grammarly icon showing on your browser, you probably don’t need to worry about making any grammatical errors because you will surely be corrected. 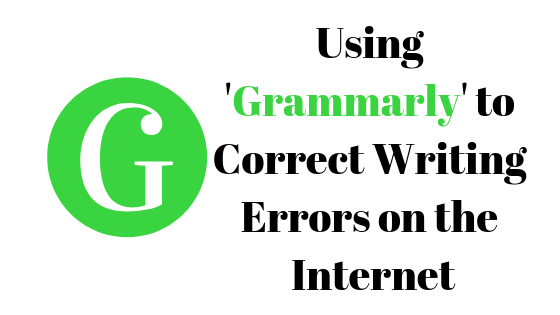 Here is how you can add Grammarly to your browser and enjoy error-free writing. The basic corrections are free of cost, you can upgrade your plan to a premium one which would cost you. You can choose according to your writing needs. Open the website for Grammarly, which is where you can sign up and make yourself an account. 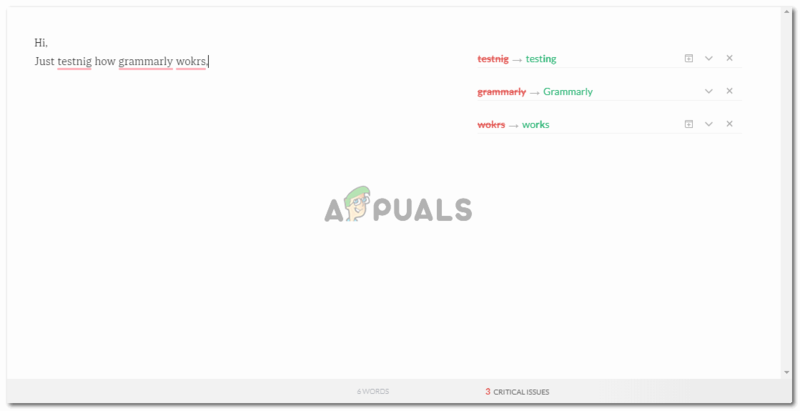 You can keep scrolling down on this screen to read all the benefits that you will be provided by this spell check tool. Grammarly is not just for Google Chrome. It can be used for anything and everything on the internet. From all the work-related websites to all the social networking forums, you can now correct what you write with Grammarly. It is important that you know what all you will be corrected for with Grammarly. 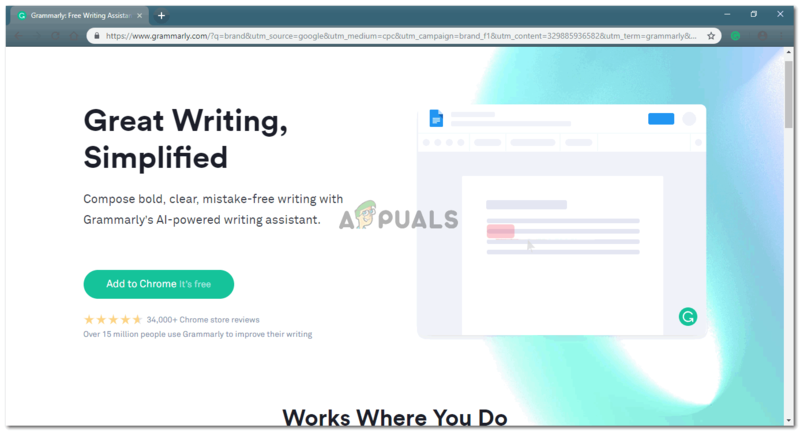 Once you are done reading into the website, you can add Grammarly to your Google Chrome with just one click which will then ask you to sign up for free. Notice the tabs that have been highlighted in the image below. One that appears in the top panel of the website, one towards the left side of the page in the beginning, and one tab at the end of the page as highlighted in the image below. All the three green tabs say the same thing, that is, ‘Add to Chrom it’s free’. 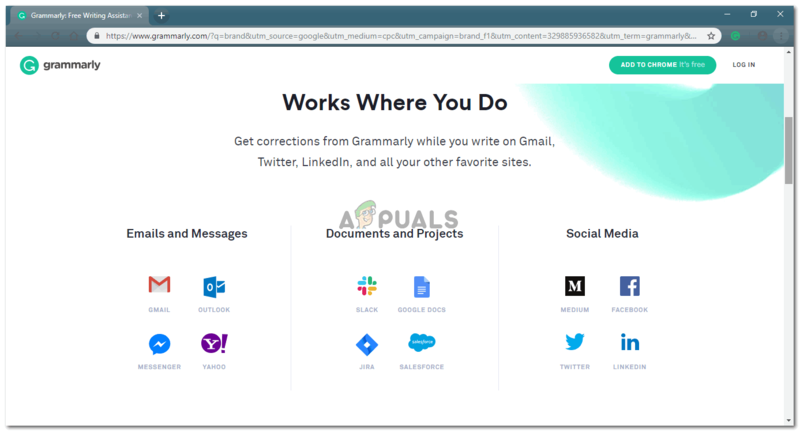 Add to Chrome it’s free, is what you need to click on to sign up for Grammarly and avoid making grammar errors in the future. You will be asked to sign up next. Add an email address which you use, add a password and a name for your Grammarly account. And you are good to go. If you already have an account, you can simply log in. Since I already had an account on Grammarly,I would just log in. 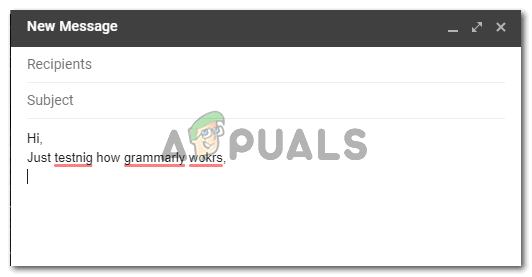 This is just to show you how you can add the details here and make your Grammarly start working. This is what your Grammarly profile looks like. 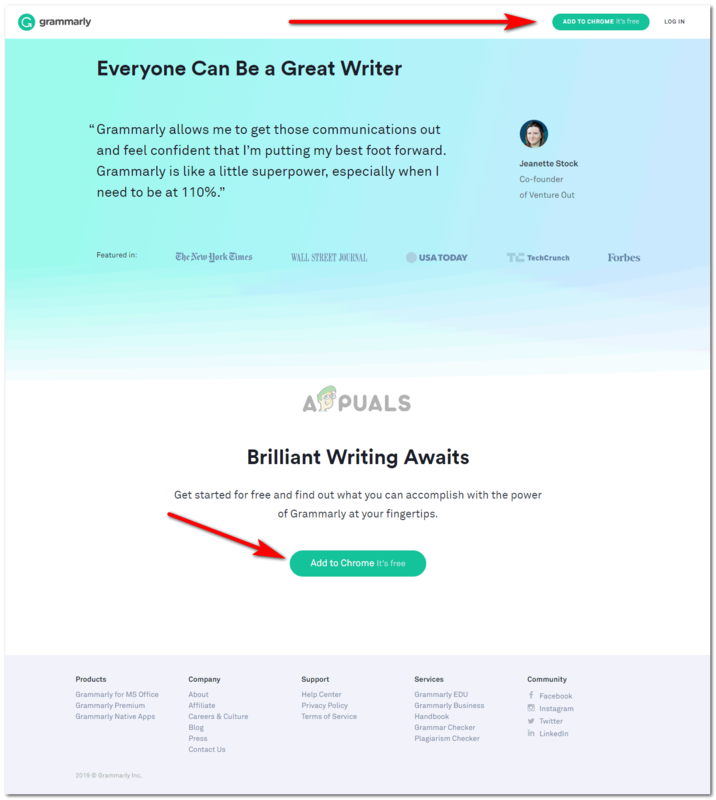 You can add complete articles here, which you have written offline, like on MS Word, and correct the spellings and Grammar through Grammarly. Now let’s show you how Grammarly works its magic on the internet. As an example, I opened my Gmail account and started composing an email, to show you how Grammarly corrects me every time I start writing. You can notice how the spellings are underlined here. This shows that these spellings are wrong. Now, I will bring my cursor to these words where Grammarly will show me suggestions for the correct spellings. Just click on the correct spellings of the word in green, and your text will automatically get corrected. This icon here shows the number of mistakes your writing has. Clicking on this red icon, as shown in the previous image, a more detailed window for your corrections will open. Towards the left of this screen, you can notice the pen icon, which will show you more details, and you can also upgrade your plan here, which is not free just by the way. All the editings Grammarly is offering you for free. And then the premium plan which can be bought.